Heading to the zoo, the art museum, or your local grocery store on your next field trip? Reading books on animals, art, and gardening or cooking can help set the stage for your students before you load the class on the school bus. Here are five organizations that can help you inexpensively acquire books before your next field trip or help you build your classroom library for valuable class reading. The list includes organizations that provide books for preschoolers to high schoolers! Acquire a large quantity of brand-new books for your Head Start or Title 1 program for just the cost of shipping and handling. Titles available will appeal to birth to high school students. 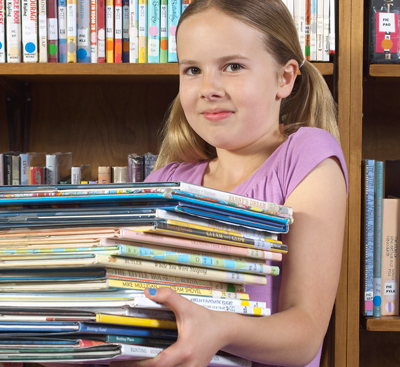 This nonprofit donates books it selects based on the ages and needs of your program. Kids Need to Read helps underfunded schools, libraries and other organizations with their literacy needs. A digital library of books for kids 12 and under which is free to teachers and librarians. Students will have access to 25,000 quality fiction and nonfiction books and receive recommendations for their reading level and interest. Receive free copies of Ayn Rand novels for your entire class, and teaching guides, to engage students this school year. For Pre-K through second grade students, the foundation sponsors The Reading Resource Project which distributes 100 book sets of a variety of mixed titles. The sets are available for the price of shipping, handling and administrative costs. You don’t have to be a teacher to participate. The Surplus Book Program available through the Library of Congress, encourages teachers to come to Washington D.C., to choose books the Library of Congress does not need. Schools, libraries, and other non-profits need to apply to participate in the program.